Hugh Jackman has put down Wolverine’s claws and picked up the hate of P.T. Barnum in the new film The Greatest Showman. The film is described as: “Inspired by the imagination of P.T. 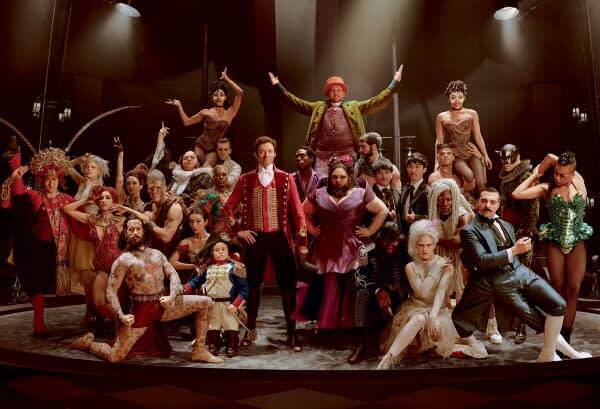 Barnum, The Greatest Showman is an original musical that celebrates the birth of show business & tells of a visionary who rose from nothing to create a spectacle that became a worldwide sensation.” It’s directed by Michael Gracey and has a cast that includes Jackman, Michelle Williams, Zac Efron, Zendaya, and Rebecca Ferguson. Last night, during a live performance of A Christmas Story on Fox, the cast of the movie pulled of a two-minute live commercial as the three main stars joined a full ensemble, singing and doing a dance routine to the film’s track, Come Alive. The piece starts with Jackman in his ringleader costume and then he is joined by Efron and Zendaya until a huge group is singing and dancing. It was like a 2-minute musical which Fox is calling the “world’s first live movie commercial”. You can see the performance below. The Greatest Showman opens this Wednesday, December 20th.